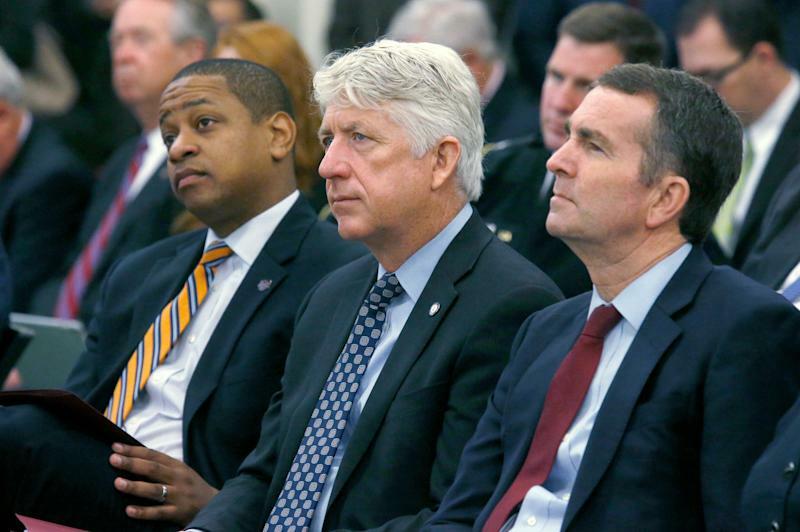 Although February is not even a week old, it’s already been a terrible month for Virginia Democrats as they attempt to assess the crises afflicting their top three state officials. But at a press conference the next day he changed his response, saying that after reflection he was sure neither of the figures was him, although it was his page and he appeared in the other images on the page. He then admitted he once darkened his face with shoe polish to dress as Michael Jackson for a costume party. (When a reporter asked if Northam could still moonwalk, the governor appeared to be preparing a demonstration before his wife suggested it was an inappropriate time.) The image on Northam’s page was apparently not an outlier, as the Eastern Virginia Medical School said it discontinued its yearbooks in 2013 because of a series of “shockingly abhorrent” photos. There have been calls for Northam’s resignation from across the party, including those of 2020 presidential hopefuls like Sen. Kamala Harris and Sen. Elizabeth Warren, both U.S. senators from Virginia (Democrats Tim Kaine and Mark Warner), Hillary Clinton, former Vice President Joe Biden and the NAACP. Northam has so far refused to resign, and the Washington Post is reporting that he is considering finishing out his term as an independent. Northam was elected in 2017, and Virginia governors are not permitted to serve consecutive terms. If Northam were to resign, Lt. Gov. Justin Fairfax would take over. Fairfax, 39, is African-American and considered a rising star in Virginia state politics. 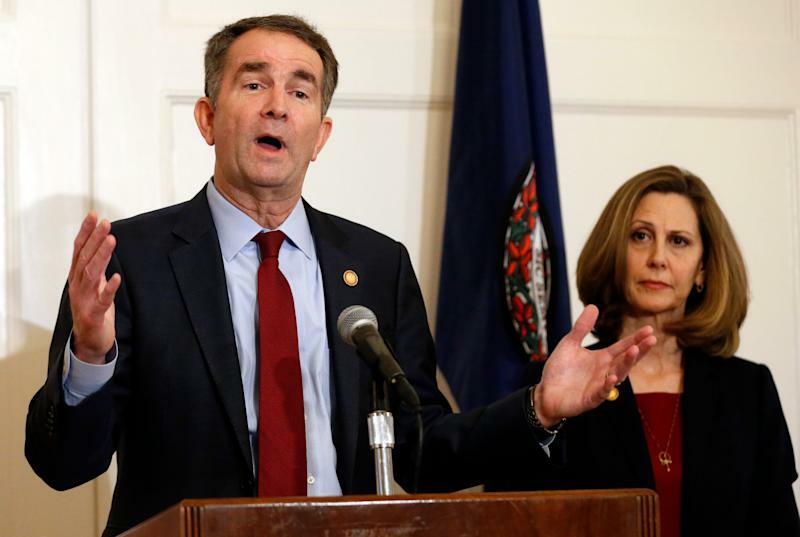 But on Sunday, the same right-wing website that publicized Northam’s photos reported about an accusation against Fairfax of sexual assault on a woman he met at the Democratic National Convention in 2004. He denied the charge in a statement on Monday. The Washington Post said it had investigated the claim when the accuser contacted them after Fairfax’s election in 2017, but that they were unable to corroborate it, or to find similar allegations against him. But NBC News reported Wednesday morning that Fairfax had profanely dismissed his accuser in a private meeting on Monday, saying “F*** that b****.” Democrats have yet to call on Fairfax to step down. If both Northam and Fairfax were to resign, next in line for succession would be two-term Attorney General Mark Herring, who was first elected in 2013. On Wednesday morning, Herring met with the Virginia Legislative Black Caucus and revealed that he had worn blackface at a college party. “In 1980, when I was a 19-year-old undergraduate in college, some friends suggested we attend a party dressed like rappers we listened to at the time, like Kurtis Blow, and perform a song,” wrote Herring in a statement released after the meeting. “It sounds ridiculous even now writing it. But because of our ignorance and glib attitudes — and because we did not have an appreciation for the experience and perspectives of others — we dressed up and put on wigs and brown makeup." "I had a callous and inexcusable lack of awareness and insensitivity to the pain my behavior could inflict on others. It was really a minimization of both people of color, and a minimization of a horrific history I knew well even then." Herring added that it was a one-time occurrence for which he had felt shame for decades and in no way reflective of his current person. Herring had issued a statement on Saturday saying it was no longer possible for Northam to serve and that he should step down. February is also Black History Month. However, if Northam, Fairfax and Herring were all to resign simultaneously — an unlikely occurrence, but we’re covering our bases here — next in line for the governorship of Virginia is Republican Speaker of the House Kirk Cox. Cox became speaker after Republicans took control of the chamber by a single delegate, and won the race after a tied election led to drawing a name out of a bowl. Republicans also benefited from a map that was struck down in 2018 for being a racist gerrymander. A new map is expected for this November’s state legislative elections. Cox was a member of the James Madison University class of 1979. His yearbook has not yet been the subject of a public examination.